Vaccine Awakening: Did DPT/HIB/OPV Kill Sally Clark's Child? Unfortunately, pediatricians around the world have stubbornly refused to acknowledge the ability of vaccines to cause brain damage and death and their collective denial is endangering the lives of countless children. The tragic story of Sally Clark and her infant son, Harry, who died after receiving DPT, HIB and OPV on one day in 1998, illustrates just how dangerous it can be to blindly trust what medical doctors say when it comes to vaccination. DPT vaccine is among the crudest and most reactive vaccines humans have ever used on a mass basis. DPT vaccine contains pertussis toxin (PT), which is one of the most lethal toxins in nature. It is thought to be the main component of B. pertussis bacteria responsible for both stimulating the production of protective antibodies after natural infection or vaccination, as well as for causing brain inflammation during pertussis infection or after injection of pertussis-containing vaccines. Because PT can cross the blood brain barrier when conditions are right, encephalitis has always been the most dreaded complication of both whooping cough and pertussis vaccination. The authors of the British National Childhood Encephalopathy Study noted in 1993 and IOM confirmed in 1994, that DPT vaccine-induced brain inflammation is associated with a broad range of long term brain dysfunction that affects the physical, social, behavioral and educational outcomes for children. Signs of brain inflammation within seven days of DPT or DTaP vaccination include a high fever, irritability, high pitched screaming, prolonged crying, drowsiness, vomiting, seizures, collapse and unresponsiveness, followed by immediate frank regression or progressive changes in mental, emotional and physical health. Death, or a diagnosis of mental retardation, seizure disorders, learning disabilities, attention deficit disorder, autism and other chronic neurological and health problems often follows. Since the 1950's, scientists have injected the lethal pertussis toxin into lab animals whenever they want to deliberately induce histamine, serotonin and endotoxin sensitivity or experimental autoimmune encephalomyelitis. PT induces lymphocytosis, leukocytosis, stimulates insulin secretion and sensitizes histamine, which is involved in an inflammatory response and CNS and allergic reactions. The newer DTaP vaccine still contains pertussis toxin with the ability to induce brain inflammation which could lead to brain dysfunction or other kinds of chronic inflammatory disease in vulnerable children. The role of genetic factors in vaccine injury are highlighted in the work of pediatrician Mary Megson, M.D., who identified a g-alpha protein defect in some children which makes them vulnerable to pertussis toxin-containing vaccines. Lawrence Steinman also identified genetic susceptibility to pertussis vaccine induced encephalopathy involving genes of the major histocompatibility complex correlating to genetic regulation of antibody response to bovine serum albumin (a cow's milk protein). The first reports of brain inflammation and chronic brain damage, including death, after pertussis vaccination were published in 1933 by Madsen and in 1947 by Brody, followed by numerous reports during the next 40 years. Finally, after nearly 50 years of evidence in the medical literature, the 1981 National Childhood Encephalopathy Study (NCES) confirmed that the DPT vaccine was causing brain inflammation and permanent brain damage in previously healthy children. 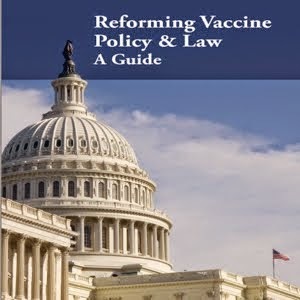 In the 1985 book, DPT: A Shot in the Dark, which I co-authored with Harris Coulter,Ph.D., we examined the history of pertussis and the pertussis vaccine within the larger context of the medical, scientific, legal, social, and political issues involving mass vaccination policies. The book, which was the first major critique of the mandatory vaccination system, includes more than 100 case histories of DPT vaccine associated brain inflammation and immune system dysfunction. Several of the cases describe children who developed autistic behaviors after DPT vaccination, making it the first published report of an association between autism and vaccination. Children diagnosed with autism today have much in common with the children described in A Shot in the Dark (now published by Putnam and available on amazon.com), who reacted neurologically to DPT vaccine in the 1970s and 1980s. Many of the DPT vaccine injury cases in the book revealed children with a personal and/or family history of allergy, particularly milk allergy. Some had been vaccinated while they were sick with a coinciding viral or bacterial infection. Others were on antibiotics or recently completed antibiotic therapy before vaccination. In addition to neurological damage following DPT vaccination, many were also left with chronic gastrointestinal dysfunction and new allergies, as well as autoimmune disorders such as asthma. A personal or family history of inflammatory autoimmune disorders appeared to outweigh a history of neurological disorders in terms of being a high risk factor for reacting to DPT, although a history of convulsions in the family was also a high risk factor. In 1996, a child with mental retardation and autistic behaviors, which developed after DPT vaccination, was awarded compensation under the National Childhood Vaccine Injury Act despite vigorous protests by federal health officials that there was no proof DPT vaccine caused the autism. The child had been healthy with above average intelligence before he reacted within four hours of his DPT shot at 19 months of age with a convulsion followed by days of fever and screaming. The U.S. Court of Claims made the award, agreeing with the plaintiff's lawyer that autistic behaviors can be the result of brain injury from any cause, including the DPT vaccine. Fourteen years of lobbying by parents finally resulted in the licensing of a second-generation DTaP vaccine for American babies in 1996. Introduced in Japan in 1981, this purified vaccine reduced the amount of endotoxin and the bioactivity of pertussis toxin through chemical inactivation with formaldehyde and/or gluteraldehyde (both formaldehyde and gluteraldehyde remain residually in the vaccine). Because the DTaP vaccine still contains pertussis toxin, (10 - 25 mcg per dose) with varying amounts of bioactivity, it is still capable of inducing brain inflammation. A company producing a genetically engineered DTaP vaccine in the early 1990's, Chiron, explained why chemically inactivated PT will always be a problem: "Genetic detoxification ensures that no active form of the pertussis toxin is present, while chemically detoxified pertussis toxins may revert to toxicity." In addition to brain inflammation, acellular pertussis vaccine can cause extensive swelling at the site of the injection. Some vaccine researchers think this swelling may be due to a hypersensitivity reaction or be related to DTaP vaccine-induced Th-2 type cytokines, Th2 skewing of the immune response and a subsequent delay in Th1 development in some children. Although brain inflammation is thought to occur less frequently with DTaP than with DPT, because DTaP vaccine is associated with the same kind of brain inflammation and other central nervous system complications as the whole cell DPT vaccine, the same contraindications and precautions that were in force with DPT vaccine are also applicable to DTaP vaccine. How many more vaccine deaths and brain injuries will occur and how many more parents' lives will be ruined because pediatricians refuse to acknowledge that vaccines can cause brain inflammation, permanent injury and death? 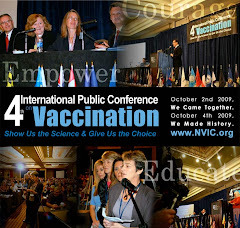 Every licensed vaccine on the market has the inherent ability to injure or kill, depending upon the vaccine or combination of vaccines given simultaneously, as well as individual genetic and biological high risk factors, including a personal or family history of autoimmunity or neurological disorders, prematurity, coinciding viral or bacterial infection at the time of vaccination, co- exposure to other environmental toxins and other factors. The DPT vaccine-induced death of Sally Clark's infant son, for which she was unjustly prosecuted and cruelly imprisoned with the enthusiastic assistance of pediatricians determined to hide the risks of vaccination, has apparently now led to Sally Clark's untimely death several months ago. Sally's friends say she died of a broken heart. The viciousness with which she was persecuted by doctors, who knew they could have defended her but were too afraid to admit vaccines could have played a role in her baby's death, speaks volumes about the moral decay among those who care more about propping up one-size-fits-all vaccine policies than defending truth and justice. I am so glad that there is much more awareness of the injurys that vaccince can cause. My daughter was born on '01 and received all of her shots on time and all the mercury that went along with them. She fortunately is not on the autism spectrum however does have global developmental delays and struggles with that daily (as well as myself and her father). Far too much trust is put into what your doctors and the government tell you and unfortunately I did what I thought was right and my child has suffered. I wish now that I had done more research then and maybe things would be different for out family. This is no joke, the future of our children and our country are being jepordized! My daughter was born in 86 and received the usual series of vaccines. After her first dpt shot she cried for an hour--I was a new mom but I knew something was wrong--when I called the hospital they told me It was a normal reaction. I wish I had just taken her to the hospital. During her second checkup--I told the doctor how bad her first reaction was and again I was told this was normal and to give her tylenol BEFORE her next shot--she was cranky and cried with the second shot but not as bad. She was diagnosed with ADD in gradeschool and had night terrors much of her childhood. I am so grateful for this web and others like this because for 22 years I have wondered what was that doing to my sweet baby to make her scream like that!!! I now know she probably had a god-awful headache and brain swelling which very likely caused her learning problems. As a new mom I wanted soooo much to do everything right for my baby --I will always wonder in my heart what HER life would have been like had I not had her vaccinated. My daughter was a healthy baby and little by little started becoming distant. Her language stopped and she was send to a special ed. preschool and had speech services at 2-1/2. By four her language was coming around again with a lot of work and then she had the DPT, she had visible, obvious, neurological reactions. I called the doctor and said my daughter is slurring her words and looks totally out of it. She was set back in her progress. Obviously, the DPT caused a reaction. The doctors would not admit to the reaction and chalked it up to her having special needs (which I don't believe were there at birth). She couldn't speak as an infant getting these shots. However, she ran very high fevers, cried profusely and was less responsive. She had chronic hives between the ages of 1-1/2 and four all over her body. No one could explain why. Well, it was quite obvious after the four year old DPT she had been injured from the vaccines. Now I'm being told she needs to be re-vaccinated with the DPT again for middle school. I cannot do this to her, I shouldn't be made to. I'm now trying to find a physician to help my child not receive this vaccine.